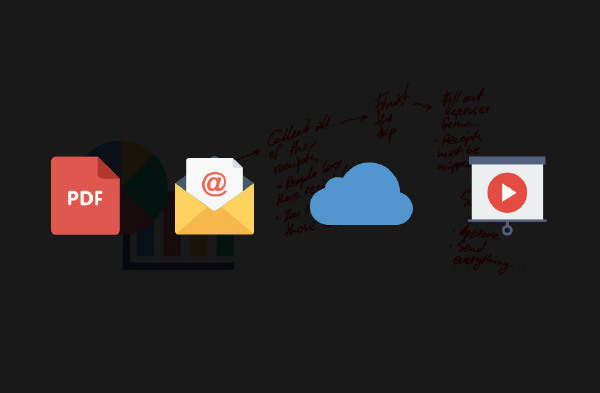 The foundation of our tailor-made software solutions is the "ecosystem" approach. 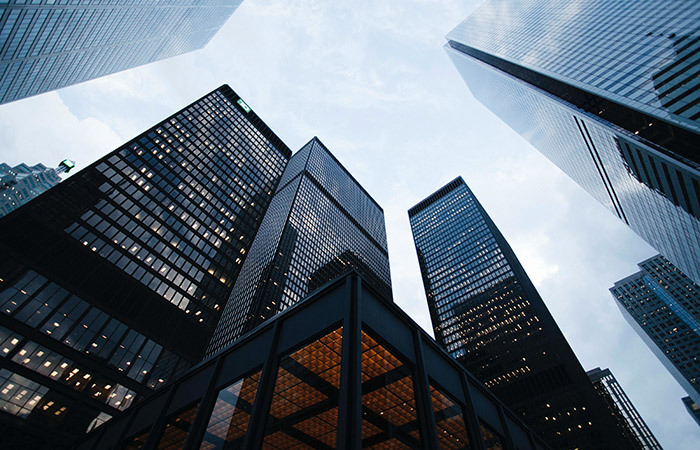 Locked down or silo-based solutions are not going to satisfy today's needs of smart meetings anymore. 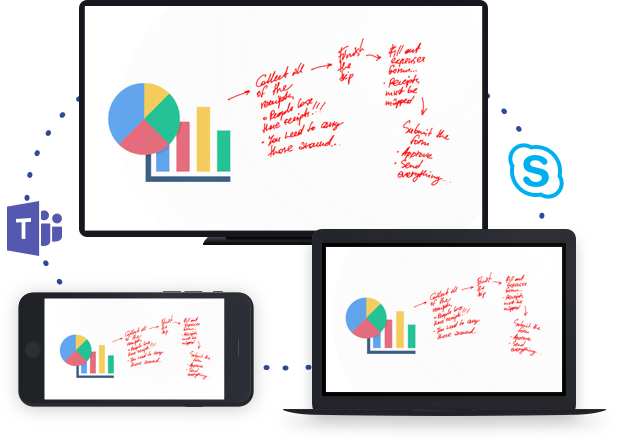 Information and data must seamlessly flow through all 3 core phases of a smart collaborative meeting: plan, collaboration and recap. 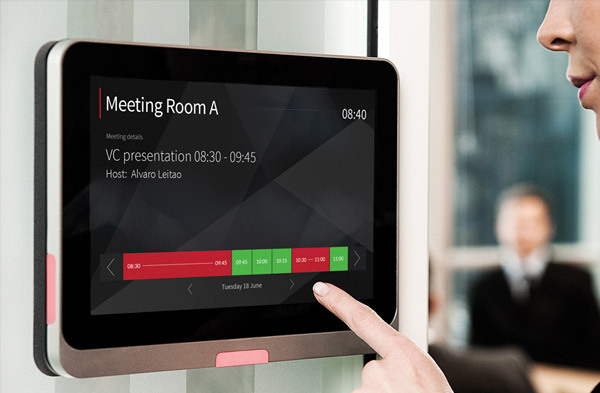 Any participant can plan a meeting and book a meeting room with the software already in use, without having to install plugins or third-party apps. Our solutions integrate with any major existing calendar or booking system. For an even more fine-grained experience, we develop custom booking systems. Real-time collaboration from anywhere in the world is the key to reducing travel costs and to increasing productivity. 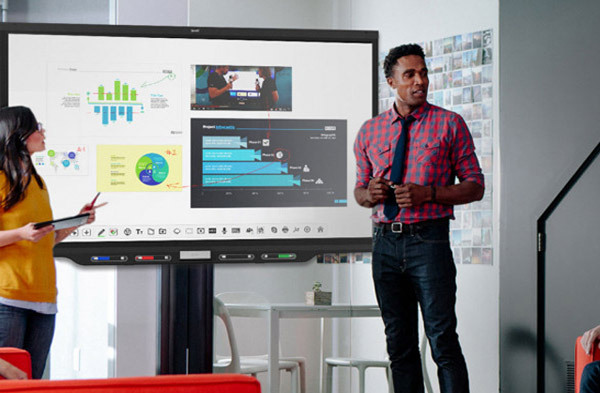 For this to succeed, we built a powerful interactive whiteboard, at the core of our solutions. Participants meet here to brainstorm, sketch, share files of any type (images, videos, PDFs, MS Office documents), browse the web and access HTML5 applications. 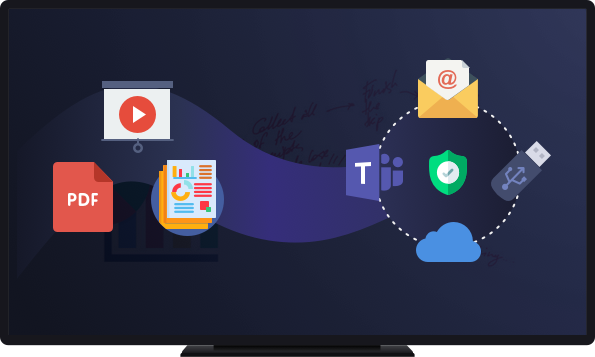 Files can be easily shared from and to any desired local storage or Cloud service, such as Microsoft Teams. 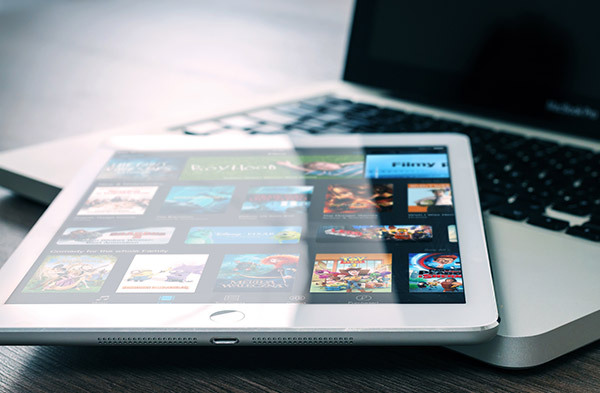 Any desired A/V software can be used for seamless communication. We believe a meeting should not end with participants taking photos of the whiteboard. 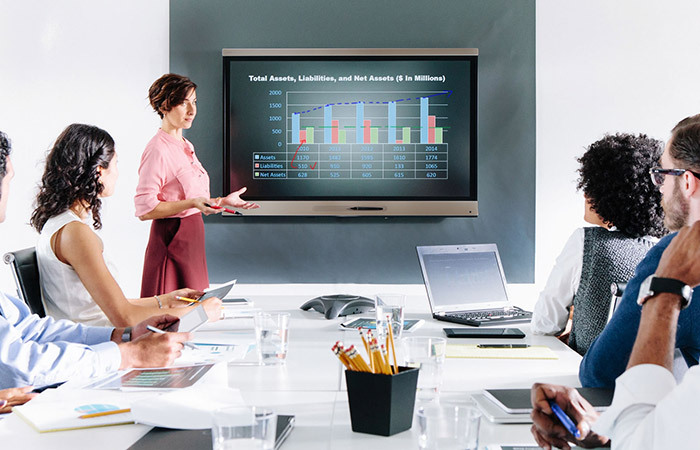 A comprehensive recap can be securely saved, stored or shared through different channels and can be accessed again after the meeting has ended. All sketches, notes, files and A/V recordings are included in the recap in order to avoid the loss of important data. 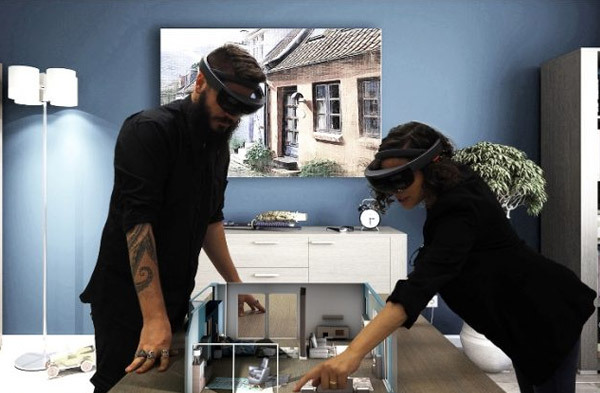 Re Mago merges extensive technical expertise in human-computer interaction techniques with in-depth engineering and design skills to deliver innovative products for both the consumer and the enterprise markets with tailor-made solutions for OEMs, System Integrators and Cloud Providers. Wirelessly present and forget the hassle of cables. 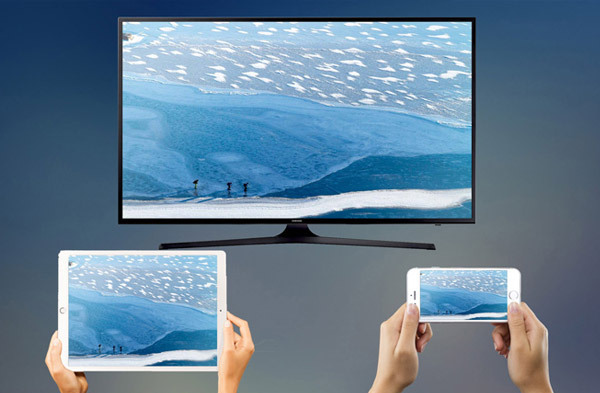 Compatibility with AirPlay, Miracast and Google Cast. 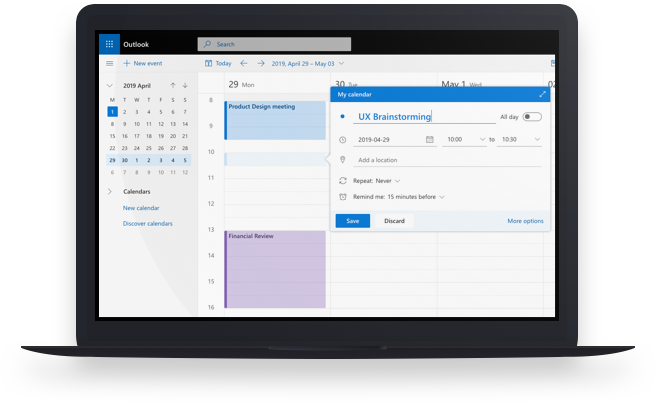 Our solutions integrate with most common booking systems and calendars, such ad MS Exchange and Google GSuite. 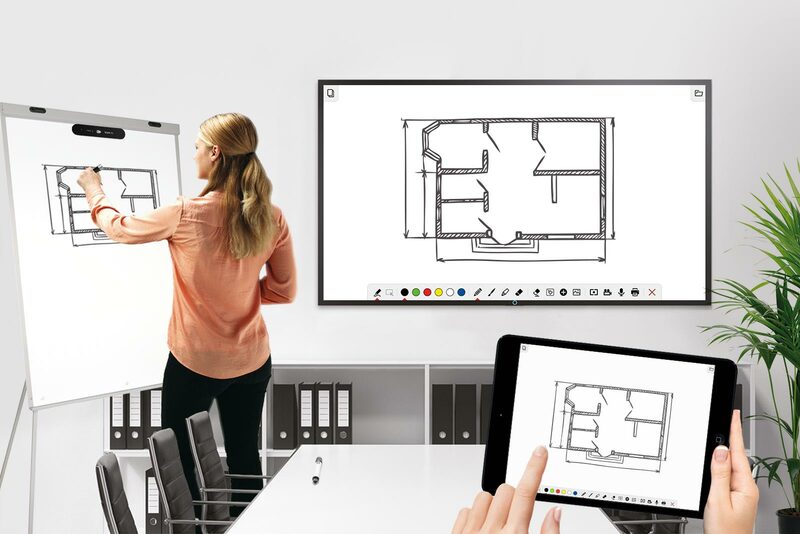 Re Mago develops powerful whiteboards where teams can collaborate, sketch, share files, browse the web and much more. Every meeting recap is valuable. All participants can save, secure and review important files and meeting data. 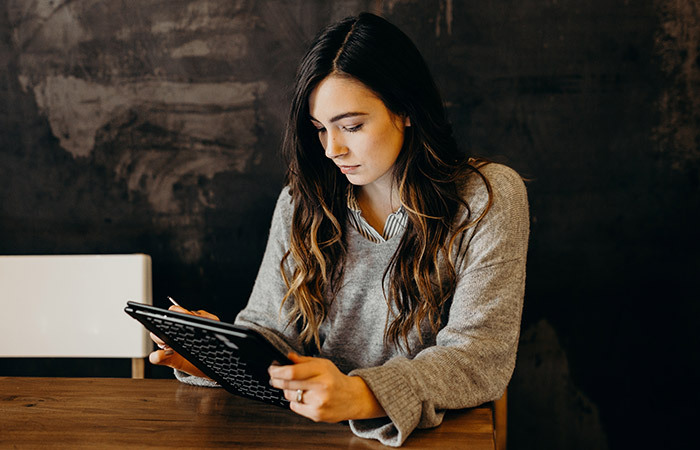 Being able to access meetings from any device, regardless of its operating system, makes the difference when it comes to collaboration. 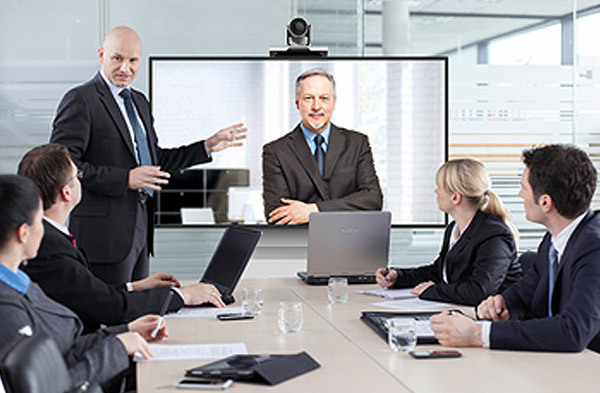 WebRTC and the latest AV protocols enable the users to better collaborate in real time, by sharing information remotely. Our solutions can integrate proprietary file systems (e.g. DICOM) or 3rd party applications into the canvas and can be used with innovative hardware (e.g. Hevolus). 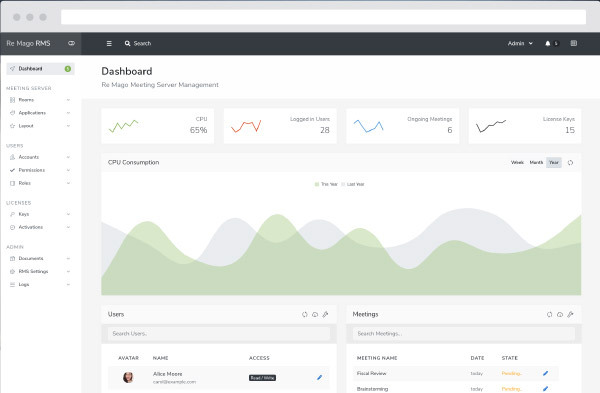 A single place where to setup, manage, monitor and control all the meeting rooms with powerful tools for IT managers.